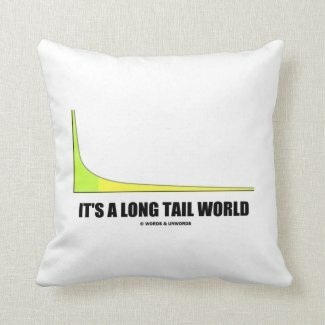 The term long tail has been used to describe the retailing strategy of selling a large number of unique items with relatively small quantities sold of each. 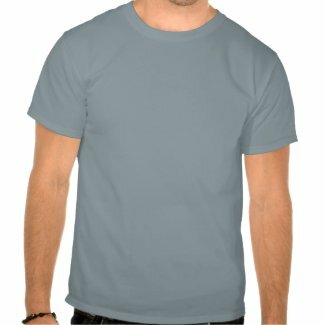 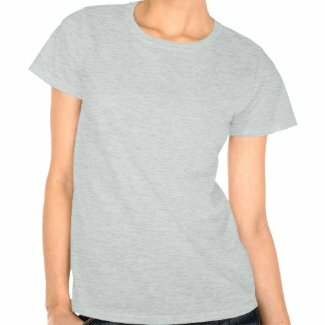 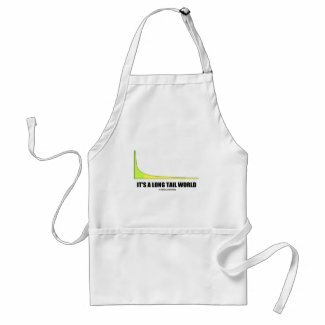 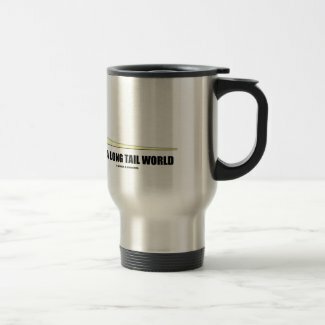 Showcase your wry statistical and psychological attitude the is applicable in the e-commerce world with a dose of power law graph humor with any of these gifts. 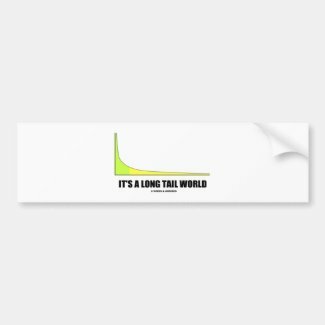 The power-law graph, which is a functional relationship between two quantities, where one quantity varies as a power of another, is frequently being used to demonstrate ranking of popularity. 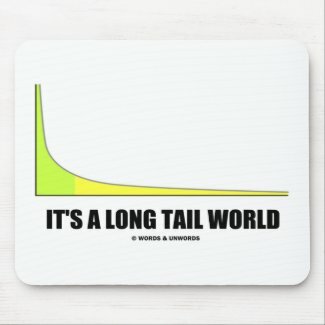 To the right is the long tail, and to the left are the few that dominate. 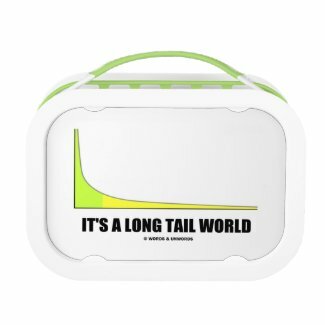 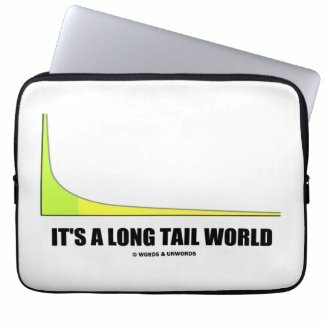 Includes the saying that says it all: "It's A Long Tail World".